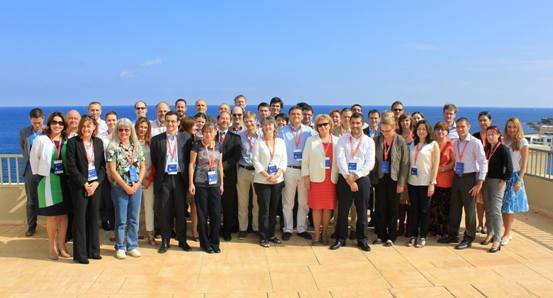 This year’s Telecentre Europe Summit was held in sunny St. Julians in Malta on the 24th and 25th of October. Stakeholders and members of the European network Telecentre Europe met for an exchange under the motto of e-inclusion. The network strives to integrate people in today's information society and to give them access to the benefits of digital media. Through the support and networking of its member organisations, new projects and opportunities evolve at both the local and international level. The annual event of Telecentre Europe enables discussions between representatives of about 50 companies, NGOs, libraries and of course telecenters, from all over Europe. On the 24th of October, the event was opened with speakers from politics and the Council of Telecenter Europe. In addition to the issues digital inclusion and youth unemployment, in particular the importance of well-trained and certified personnel in the field of information and communication technologies (ICT) has been emphasized. In this context, the project Trans e-facilitator was introduced and received a lot of feedback from the participants. The project develops training for mediators in media literacy (e-facilitators) and strives for the formal recognition of this already wide-spread profession. In future the network of Telecentre Europe will endeavour the integration of this training and support the project partners in recognizing the profession of e-facilitators.